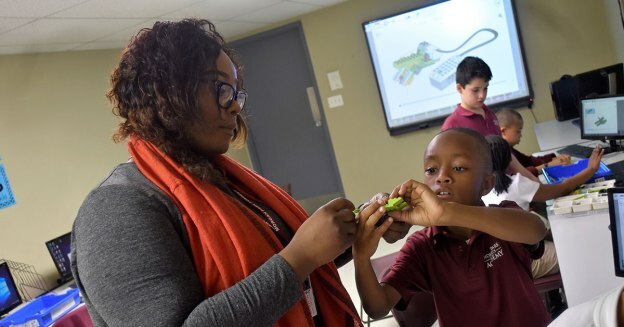 Shavonne Terry is Morgan Park Academy’s educational technology coordinator, a role that encompasses classroom instruction across all school divisions as well as supporting the school’s information technology needs. 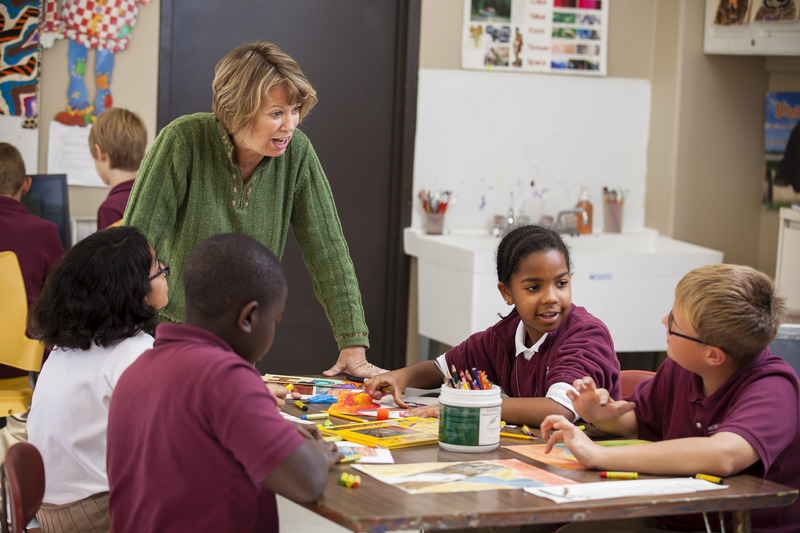 Ms.​ ​Terry holds a Bachelor of Fine Arts degree from the Illinois Institute of Art, where she focused on media arts and animation, and a Master of Education degree from DePaul University. What​ ​does​ ​the​ educational​ technology​ coordinator​ ​do​ ​at​ ​MPA? ​I​ ​work​ ​closely​ ​with​ ​leadership​ ​and​ ​teachers​ ​in​ ​developing​ ​an​ ​innovative program​ ​of​ ​instructional​ ​technology​ ​that​ ​enriches​ ​and​ ​supports​ ​MPA’s​ curriculum.​ ​I​ ​also​ ​provide​ ​instructional​ ​design​ ​support​ ​and​ ​training​ ​for​ ​the​ ​integration​ ​of technology​ ​into​ ​the​ ​classroom,​ ​1:1​ ​device​ ​implementation,​ ​learning​ ​management support​, ​and​ ​daily​ ​tech​ ​assistance​ ​for​ ​students​ ​and​ ​teachers. ​Also,​ ​I​ ​teach​ ​technology and​ ​computer​ ​science​ ​classes​ ​throughout​ all divisions ​as​ ​well​ ​as​ ​working​ ​with​ ​the summer​ ​enrichment​ ​programs. What are some MPA educational technology initiatives that you are particularly excited about? 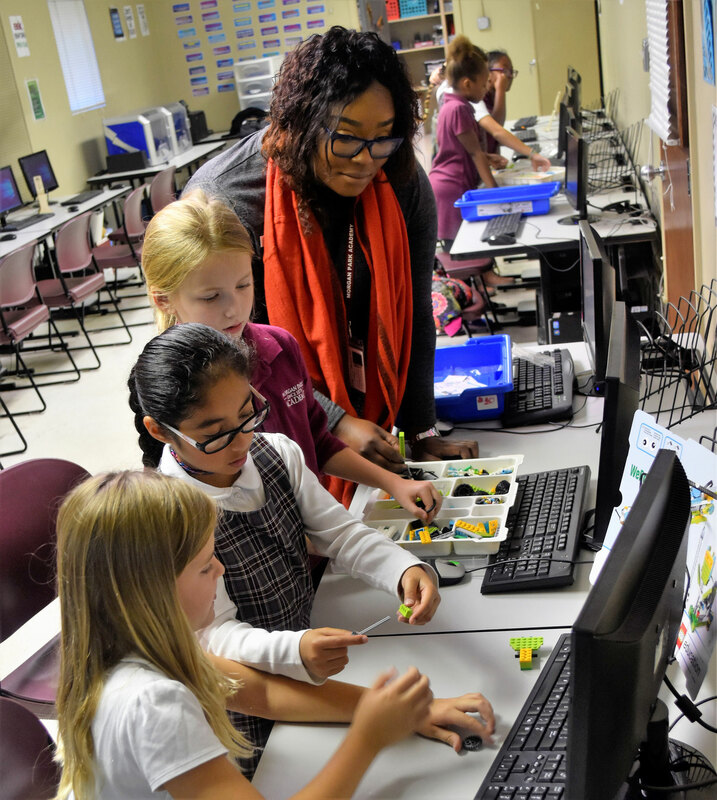 Lower School students are learning to build and program with WeDo 2.0 Educational kits and iPads in tech classes, while Middle School technology students are gearing up to begin Computer Science with Python, Java, and Ruby! What​ ​motivated​ ​you​ ​to​ ​become​ ​a​ ​teacher? My​ ​love​ ​of​ ​technology​ ​and​ ​education​ ​merged​ ​into​ ​a​ ​passion​ ​for​ ​teaching.​ ​The profession​ ​of​ ​education​ ​has​ ​integrated​ ​technology​ ​into​ ​its​ practice. This​ ​modernized​ ​approach​ ​is​ ​paving​ ​the​ ​way​ ​for​ ​innovation​ ​while​ ​embracing​ ​a​ ​plethora of​ ​diverse​ ​professionals.​ ​The​ ​ability​ ​to​ ​share​ ​a​ ​commonality​ ​of​ ​learning​ ​goals​ ​with students​ ​is​ ​possible​ ​through​ ​varied​ ​digital​ ​learning​ ​tools​ ​and​ ​resources. I’m continuously​ ​motivated. What​ ​is​ ​the​ ​most​ ​important​ ​life​ ​lesson​ ​you​ ​want​ ​students​ ​to​ ​learn​ ​in​ ​your​ ​class? The​ ​most​ ​important​ ​life​ ​lesson​ ​I​ ​want​ ​students​ ​to​ ​learn​ ​in​ ​my​ ​classes​ ​is​ ​to​ ​be​ ​innovative, embrace​ ​creativity,​ ​and​ ​accept​ ​originality! My​ ​passion​ ​for​ ​technology​ ​doesn’t​ ​negate the​ ​idea​ ​of​ ​picking​ ​up​ ​a​ ​good​ ​book. Why​ ​not​ ​enjoy​ ​both? ​I​ ​just​ ​don’t​ ​want​ ​to​ ​be​ ​boxed in. I​ ​aspire​ ​for​ ​students​ ​to​ ​encompass​ ​the​ ​idea​ ​of​ ​being​ ​a​ ​lifelong​ ​learner​ ​and​ ​face challenges. I​ ​want​ ​them​ ​to​ ​be​ ​successful​ ​not​ ​only​ ​in​ ​the​ ​classroom​ ​but​ ​also​ ​in​ ​life. How​ ​do​ ​you​ ​keep​ ​current​ ​with​ ​the​ ​subject​ ​areas​ ​you​ ​cover? Research,​ ​networking,​ ​and​ ​professional​ ​development​ ​are​ ​all​ ​essential​ ​components. Technology​ ​is​ ​forever​ ​changing,​ ​and​ ​every​ ​day​ ​there​ ​is​ ​something​ ​new​ ​that​ ​can​ ​be learned. Having​ ​close​ ​communication​ ​with​ ​IT​ ​professionals​ ​not​ ​limited​ ​to​ ​the profession​ ​of​ ​education​ ​is​ ​also​ ​beneficial. ​Hands-on​ ​research​ ​is​ ​significant. There’s​ ​an​ ​abundance​ ​of​ ​educational​ ​apps,​ ​lessons​ ​plans,​ ​software,​ ​devices,​ ​and websites​ ​available​; there’s always work to be done in selecting ​those​ ​that​ ​align​ with ​and​ ​enhance​ ​the curriculum​ ​without​ ​deflecting. What​ ​are​ ​some​ ​of​ ​your​ ​interests​ ​and​ ​hobbies? In​ ​my​ ​spare​ ​time,​ I’m​ ​working​ ​on​ ​post-production​ ​for​ ​my​ ​3D​ ​animation​ ​short.​ ​I’m​ ​excited about​ ​completing​ ​this​ ​project.​ I​ ​also​ ​enjoy​ ​spending​ ​time​ ​with​ ​family​ ​and​ ​friends!